A new partnership with Iveco will see new Verizon Connect’s comprehensive telematics and mobile workforce management platform embedded in all new Iveco Daily light commercial vehicles, allowing customers to drive efficiencies and improve operations, whatever the size of their fleet. Through the integration of Verizon Connect’s Fleet and Workforce offering, Iveco customers can now collect vehicle and driver information within one central fleet management system. This will allow businesses of all sizes to optimise their mobile workforce and streamline their field service operations by drawing more intelligent insights from driver and vehicle performance data, as well as fuel usage and tachograph data. Iveco customers can select among three Verizon Connect plans at the time of purchase – Fleet Essential without tachograph driver hours, Fleet Essential with tachograph driver hours, and Fleet Enhanced with tachograph driver hours and tachograph remote download, which enables the timely download of driver cards and tachograph data according to legal requirements. Verizon Connect Tachograph helps fleet managers stay informed of driver activity with weekly reports detailing driver and vehicle performance and fuel use, and helps manage European tachograph regulation compliance. Verizon Connect’s mobile workforce management solution, Workforce Essential, is also available as an extension on all plans. 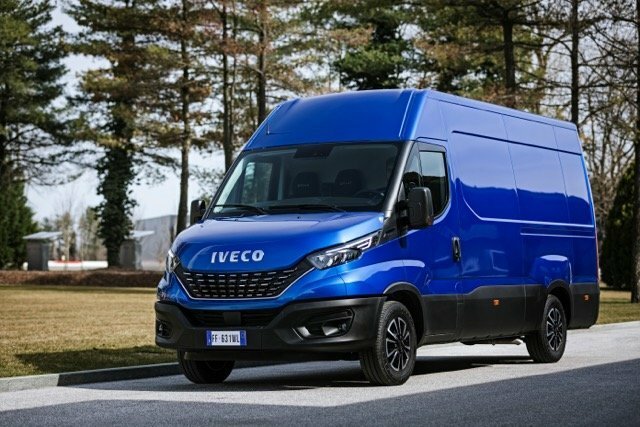 Last week, IVECO launched the New Dailyto the international press in a two-day event held at the CNH Industrial Village in Turin, Italy, which included a plenary conference, digital interactive workshops and test drives of the new vehicle. The commercial vehicle industry is experiencing change at an unprecedented rate, driven by megatrends such as digitalization, automation, electrification and servitization. The new Daily addresses these trends, turning them into opportunities for customers. In 40 years of success, the Daily has become a brand, recognised for its uniqueness and as the headliner in its segment.